Having come from behind to knock out PSG, Manchester United manager Ole Gunnar Solskjaer says his side can do it again at Camp Nou. Ole Gunnar Solskjaer says Manchester United can use the experience of coming from behind to knock out Paris Saint-Germain to help them in their Champions League quarter-final against Barcelona. 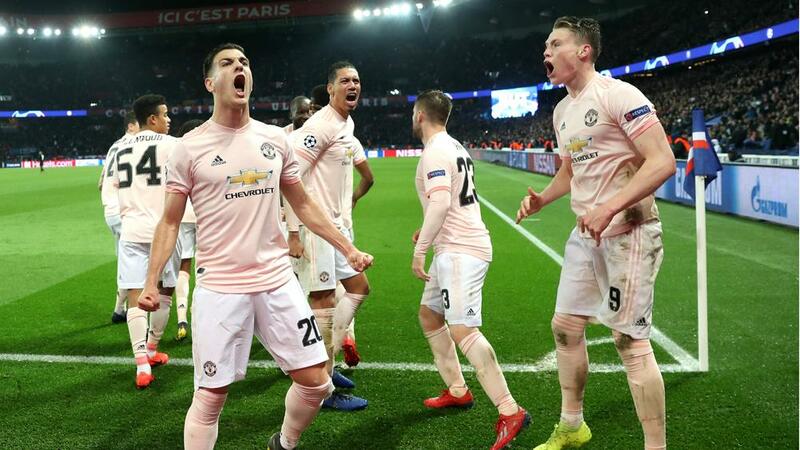 United lost the first leg of their last-16 tie with PSG 2-0 at home but a young team completed an improbable fightback in the French capital, Marcus Rashford's late penalty, awarded after a VAR check, sealing a 3-1 win. Solskjaer's side face a similarly tough task in Tuesday's quarter-final second leg away to Barca, having fallen 1-0 at home last week thanks to Luke Shaw's own goal, the defender deflecting the ball in after Lionel Messi set up Luis Suarez. The United manager accepts his side need to be more effective in front of goal, having failed to test Marc-Andre ter Stegen at Old Trafford, but feels the PSG triumph can serve as inspiration. "That PSG memory will help the players and us as a team, we know it can turn it around," Solskjaer told a news conference. "Barca here at Camp Nou is a different prospect but that memory lives with the players. It wasn't long ago. "Taking chances is key and the best strikers are the most expensive. We've practiced finishing as not working the goalkeeper means you can't score. We need to be focused as we know we're going to create chances. We need to take a deep breath and make sure we take them. "It's massive, belief is massive. Everyone has talent and certain ability to play at this level but we've seen ourselves against PSG we can come back against a fantastic team. "Historically, Barca are the best in the last 10 years so we know it's a massive effort, but they've done it before and if we give our all and have better concentration. "We slept for one second, they had the ball a lot, but that's what they did and when we switched off with [Sergio] Busquets in five yards of space he played it to Messi. Belief is one thing but concentration is another." Solskjaer, of course, can draw on his own experience of a Champions League comeback at Camp Nou, having scored the dramatic late winner for United against Bayern in the 1999 final. "Many emotions. It's a fantastic memory for me," the Norwegian said when asked about that game. "The last time, it was the only time I've played here. "I brought my son to El Clasico in 2016 and 10 days ago I came to watch [Barcelona play] Atletico Madrid. But I don't look back on that night [in 1999]. I'm just focused and looking forward to tomorrow, we need to play better and that's my job now. "In football anything can happen. We can still be in the tie in the 90th minute if we get a clean sheet. We're physically taller and bigger but it's about quality. We need to defend well but going forward we need to score. I don't mind if it's in the 93rd minute as we're a fit team and we're getting fitter and fitter. "I believe you get what you deserve, that if you put your life and everything you have in you get what you deserve. But sometimes people say it has to be our year - 20 years ago, I wore 20, back at Camp Nou - but to go through we must perform and we have to deserve it. We can't rely on fate."